The benchmark VN Index on the HCM Stock Exchange was down slightly to end at 987.95 points on August 24. 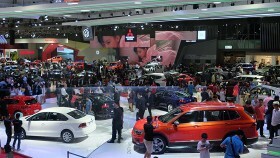 It made a weekly gain of 1.9 percent last week. The HNX Index on the Hanoi Stock Exchange advanced 1 percent the same day to finish last week at 111.62 points, making an increase of 3.33 percent week on week. According to analysts, the VN Index may continue rising this week to reach its old peaks of 990 points and 1,000 points with strong volatility and low trading liquidity. 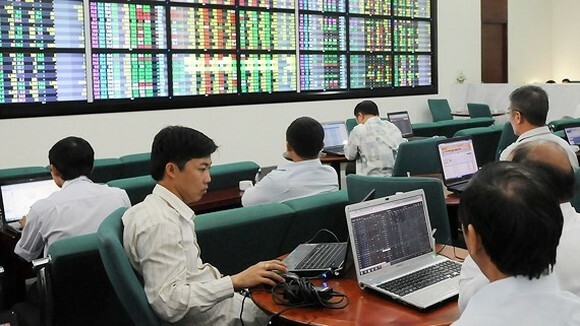 Last week, the Vietnamese stock market recorded an average of 193 million shares being traded on the two local bourses each session, worth 4.74 trillion VND (210.8 million USD). Shares of financial firms, banks, energy companies, food and beverage producers and property developers were the major support for the market’s rally. Foreign investors posted 8.2 billion VND worth of net sell value. 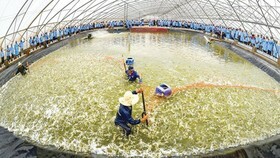 That was a big change compared to their net sell value of 124.8 billion VND made in the previous week. “There is not much support from foreign capital for the market at the moment as selling is still foreign investors’ short-term trend while domestic traders are not strong enough to lift the market consistently,” said Nguyen Nhat Cuong, analyst at Vietinbank Securities JSC. 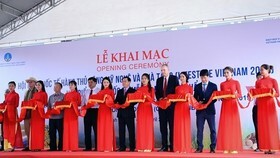 The indices are consolidating with investors waiting for news from global markets and from local businesses to make new decisions, he told the finance-business news site tinnhanhchungkhoan.vn. “Many large-cap stocks and blue chips are approaching their resistance zones and they are about to encounter strong selling pressure after having risen substantially,” Cuong said. “A large number of investors are hesitant to press the ‘buy’ button as they worry about the increased trade tensions between the US and other economic blocs plus extended net foreign sell value,” he added. Last week, investors paid attention to talks between the US and China as the two governments were seeking solutions to ease trade tensions. 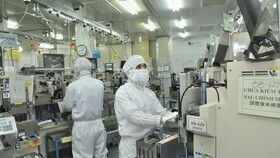 However, the two-day meeting last week came out with no progress. 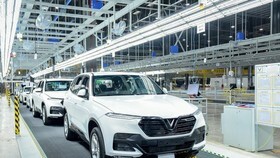 Besides, the US tariffs on Chinese imports officially went into effect on August 23, raising investors’ worries about potential negative developments in the two largest economies’ trade relationship. 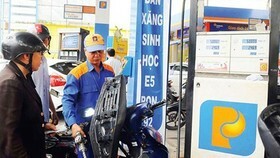 But local analysts showed little concern over the trade tension between China and the US as they think the future developments will not seriously impact the Vietnamese economy. “The US-China trade tension is in the spotlight because it would create big changes in the global economy and every new move is immediately reflected on the international financial market,” said Saigon-Hano Securities JSC (SHS) analyst Ngo The Hien. 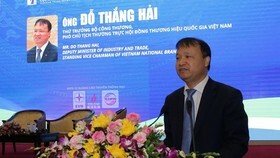 “But I see both global and Vietnamese markets have made positive moves after having suffered during the early stages of the trade tension. 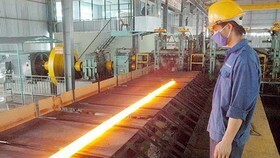 Maybe investors have been calmer and they see positive signals from the two governments as they are trying to hold talks to resolve the issue,” Hien said. Cuong at Vietinbank Securities JSC said that the latest trade talk failure had been widely predicted, and so had the possibility of another Fed rate hike in September. 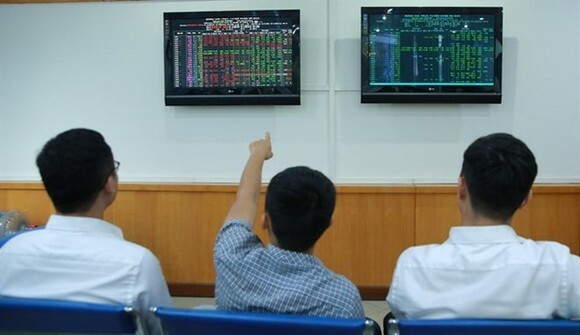 Therefore, the two factors would not hurt Vietnamese stocks as investors’ worries had been reflected in the early stage and stocks had already fallen sharply, he said. 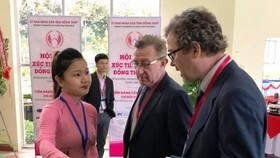 According to Viet Capital Securities Corp analyst Vu Minh Duc, investors should pay attention to the two exchange-traded funds (ETFs) - the VanEck Vectors Vietnam ETF and the FTSE Vietnam ETF - as they are preparing for quarterly portfolio reviews and any decisions made by the two ETFs would clearly direct the stock market in different ways. The current market trading condition is also an opportunity for investors to seize stocks that are highly valued based on their earnings prospects and the macro-economic conditions in the last quarter of the year, Duc added.